Many times I am called to memorialize special events. I am an engagement photographer, wedding photographer, I photograph birthday parties and anniversary celebrations. I am a senior portrait photographer and family photographer. I am frequently a sporting event photographer, too. 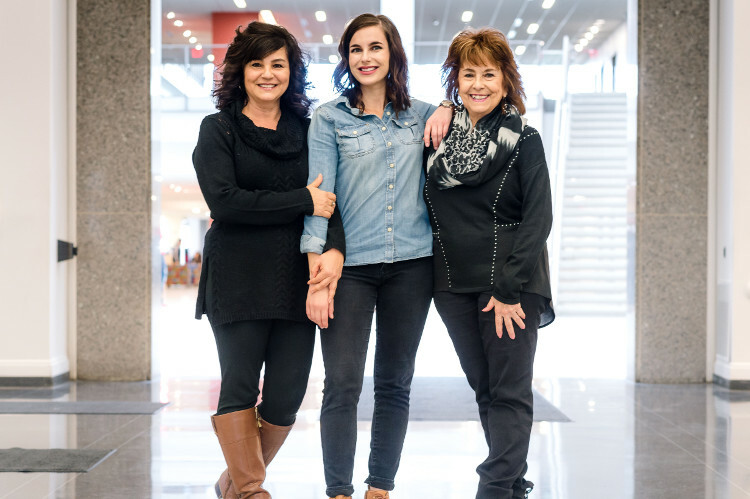 Recently I had the pleasure of photographing women from three generations of a Columbus family. Knowing that the youngest daughter was leaving soon for bootcamp, I thought it would be the perfect time to capture some multi-generational images. I wanted to photograph the mother and daughter and also include the grandmother, too! And with Mother’s Day coming up, I can’t imagine a better Mother’s Day gift than giving the experience of a mother and daughter photo session. And, of course, a printed image to memorialize it! There is, indeed a unique bond between mothers and daughters, and knowing this family fairly well, I know that these three ladies are as close as any I know. Patty, Teri, Taylor and I enjoyed our photo session in downtown Columbus. Using the warmth and natural lighting of the Columbus Metropolitan Library, it was easy to find a place to photograph these easy-going women. The smiles came easily for the camera from all three generations of ladies! 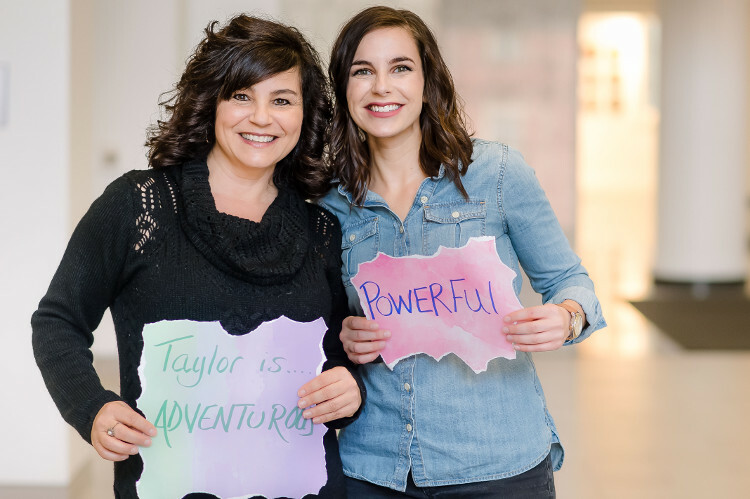 For the mother and daughter photo, I asked them to each write ONE word that describes the other. That’s not as easy as it sounds! With my next clients I may put a timer on it and see how fast they can think of the perfect word to describe each other. 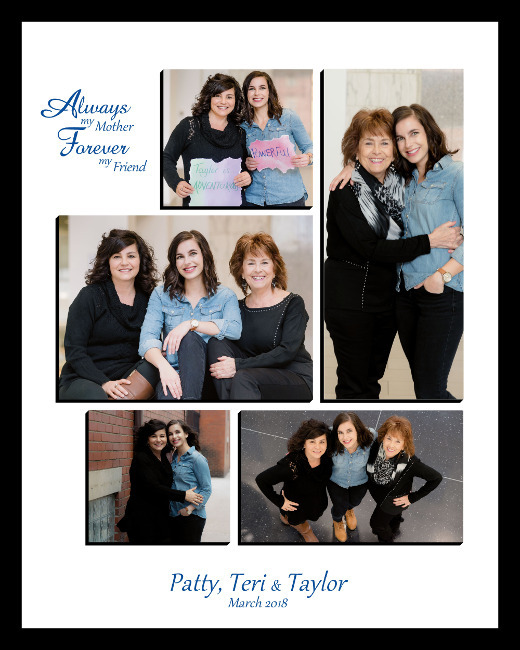 Thank you, Patty, Teri and Taylor for spending time with me to capture these images of you. I hope these images remind you of your unique relationships with each other! After realizing how rarely mothers and daughters have professional portraits taken, I am scheduling special sessions in April for mother and daughter photos. 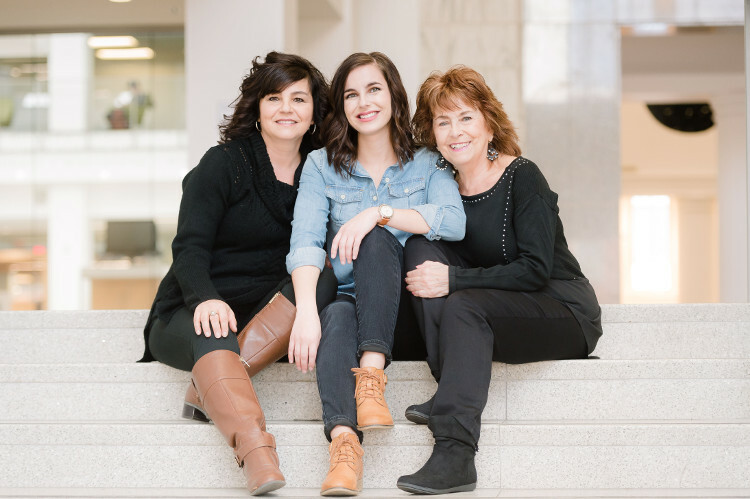 Whether it is a mother’s day gift to yourself or to your mother or just a good time to to schedule with a family photographer, please consider scheduling time NOW. The images from your mother and daughter photo session will be a lasting reminder for you, but the experience itself is priceless! Scheduling mother and daughter photo sessions in April. $75 fee includes a fun, interactive 20-30 minute session and an 8×10 professional print suitable for framing. Additional prints or wall art is available. Mother’s Day gift certificates are available to include in a mother’s day card, if desired. For more information about my experience as a family photographer, please visit this page of my website.